The 750 Motor Club are pleased to announce a partnership with the Radical Owners Club for the 2016 Bikesports Championship. The UK-built Radical sports-racers have long been a popular constituent of the highly competitive, multi-manufacturer Bikesports grids since its launch in 2005, and the new season’s partnership gives the opportunity to attract additional drivers interested in affordable competition. 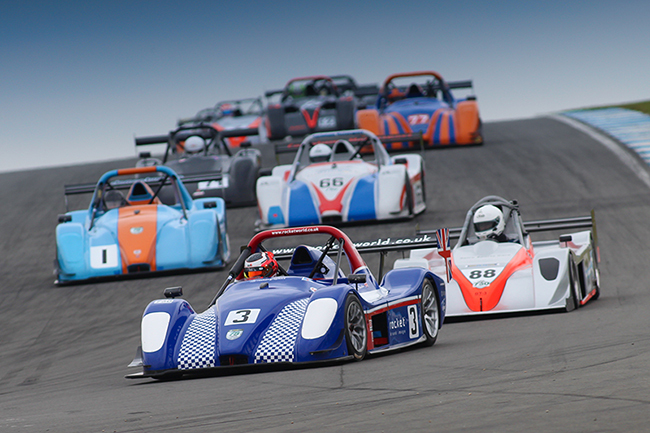 To be titled as the ROC Bikesports Championship, the 750 Motor Club formula offers a highly competitive racing outlet for not only all four-cylinder bike-engined Radicals, including the non-current PR6, SR4, Clubsport and Prosport models, but also equivalent models from manufacturers like Spire, ADR, Stohr, West and Speads, providing them with an attainable championship and sensible costs. Speaking of the announcement, Trev Brown from the Radical Owners Club said: “We are delighted to be partnering with our longstanding friends at the 750 Motor Club for the 750MC ROC Bikesports Championship. In 2015 we launched the ROC Challenge Race Series, which aimed not only to complement Bikesports as a multi-make race series, but also to widen the types of cars which would be able to participate whilst serving the interests of the genuine privateer racer with limited time and budget. As was to be expected in its inaugural year, ROC Challenge was very successful in some respects and less so in others. The ROC Bikesports Championship season consists of 14 rounds at seven double-header meetings in the provisional 750 Motor Club 2016 calendar, opening at Oulton Park on 2nd April.